Promotional Products in genuine leather. We specialize in custom design + fabrication of world class genuine leather accessories with low minimums for Promotional Products, Incentives & Premiums, Corporate Gifts and for retail. Free next business day photo quote, door-to-door delivery & top notch service all at fabulous prices. Custom designed & fabricated to your specs & budget in 100% genuine leather. Unlimited range, designs, colours all in leather. Guaranteed savings of 40% or more. The brown book'' range of genuine veg. tanned leather planners / agenda / diaries. World class qualityin 3 formats, 4 sizes, 5 colours. Full customization options at attractive price. Numerous sizes & profiles to promote your brand. From 50 cents onwards, in 100% genuine leather. Next business day photo quote. 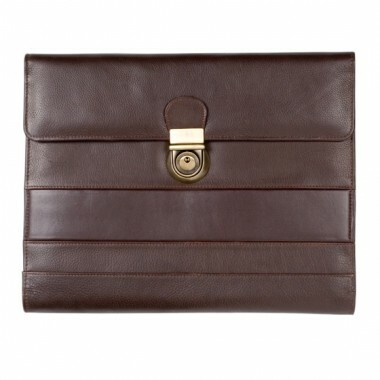 An attractive range of genuine leather jotters to fit your purpose, pocket & budget. Made to order by eZeeBags. For every need we offer a perfect promo products custom made in 100% genuine leather. This is a product perfect for your need. The perfect custom made git in luxurious genuinr leather. A truly disruptive delivery model. Where you get a world class leather product made-to-order at unbelievable price & low minimum. Every gifting need requires a unique idea. eZeeBags custom designs & fabricate a perfect gift in genuine leather at over 40% less unlimited option. Contact us before you decide on your next order. We offer to custom design & fabricate a wide range of leather accessories in low volumes , high quality & quick turn around time for any gifting need or for retail both online & offline. Classic & compact trifold design - Fits A4 size pad inside. Ribbed design & brushed antique lock for aesthetic looks. Space on inside & outside for your branding. 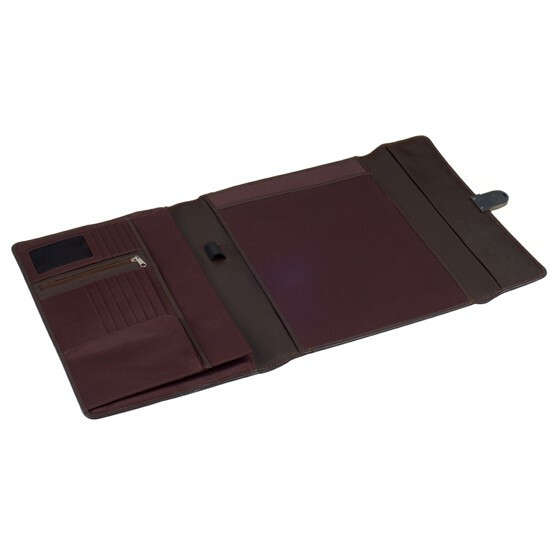 Large zippered pocket inside for your phone & calculator. Extra large gusseted pocket inside for papers. Card pockets & ID window for added convenience. 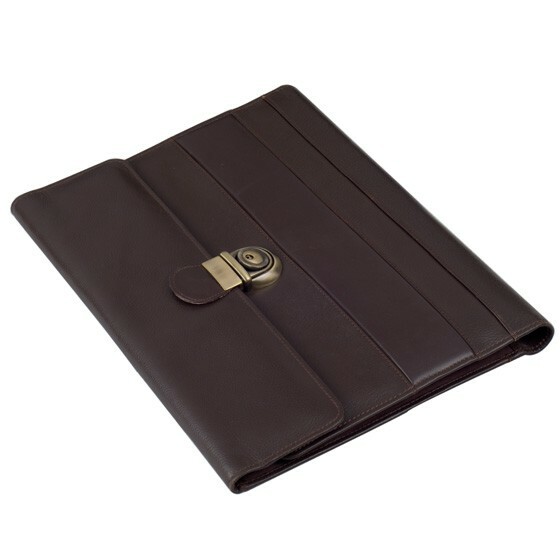 A great Amercian classic trifold portfolio in brown milled leather. The striped outside design goes well with the trifold constrution and looks compact for an A4 size folder. A brushed antique lock adds to the aesthetics of the portfolio .If the outside is impressive the inside is great utility. Any A4 size pad slips into the centre of the folder from top or the side. The left size is organized for all your bells & whisles. To start with a zippered pocket keeps your phone or calculator safe. A large gusseted pocket holds enough and more of your papers. Another long & deep pocket right below is a thoughful addition. Card pockets and an ID window complete the left side. Like any other product in this website this portfolio can be fully customized. Your branding can be done on the inside as well as outside in a choice of embossing options. Thank you!. We have received your request and will contact you soon. Sample is free. Courier charge USD 25~35 applies. USA & CANADA CALL 214-432-0464. Other Countries: +91-98410 30506. Mail WeCare@eZeeBags.com .